At Petals N Buds, we believe in the power of community and that involves working together. We feel this lays a strong foundation for people to live happier, more successful lives. In the spirit of building better communities, Petals N Buds sponsors thematic campaigns to support specific organizations. We are proud to introduce our current campaign, Let’s talk About Pumpkins. Let’s Talk About Pumpkins is a community awareness campaign that provides financial assistance for two major organizations: The Mustard Seed and The BC Cancer Foundation. Cancer and poverty results in devastation for all the lives it affects. So many are impacted mentally, physically, and socially by these misfortunes and we feel it's our job to do what we can to help. Let's Talk About Pumpkins is just one way you can contribute. 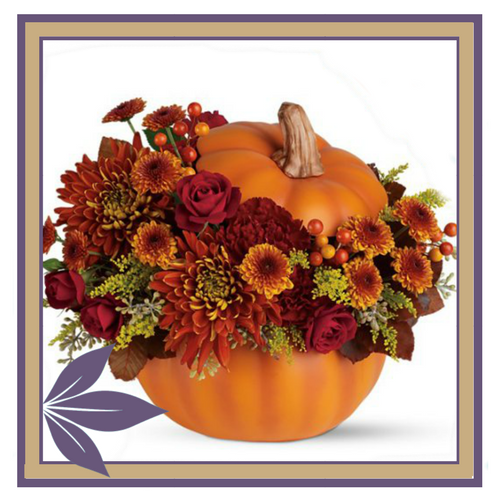 We create beautiful floral displays in a decorative pumpkin and donate the earnings to these foundations. Explore some of our options below and join the cause! Built in a fresh orange pumpkin, this arrangement is overflowing with tulips. Built in a child’s trick or treat pumpkin, this arrangement is filled with all kinds of candy like lolly-pops, chocolates, tootsie rolls, and more! 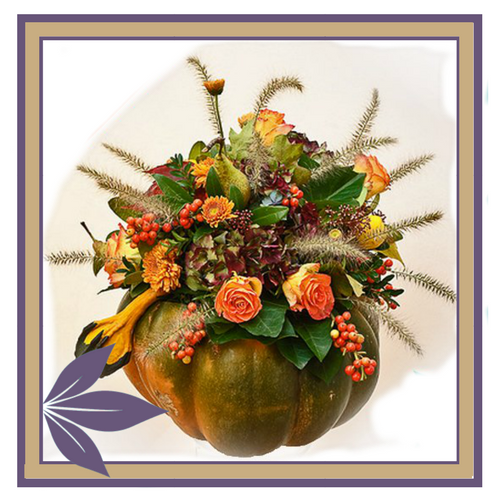 Built in a ceramic pumpkin, this arrangement is filled with bright colorful flowers and accented with rustic natural elements & berries. 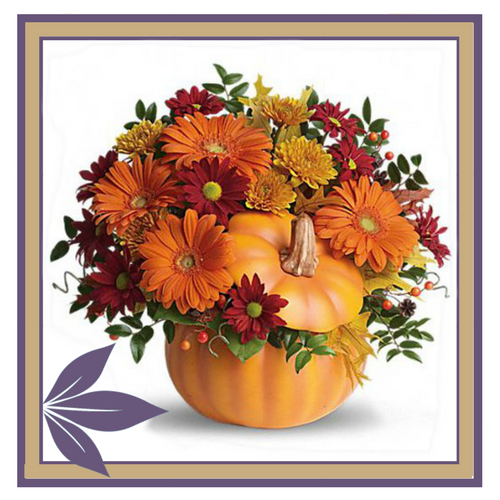 This lovely pumpkin features an exotic Flowering Peace Lilly beautifully displayed. NOTE: All forms of payment accepted are Cash & Credit (Visa, MC, AMX). Pumpkins will be delivered within 24 hours unless otherwise specified. Charges of ($15) applies to deliveries. Take a look to see other worthy causes we are apart of. If you're interested in becoming a recipient, read on! Strong organizations such as The Royal Canadian Legion play a key role in building happy and healthy communities. We have chosen to support the Royal Canadian Legion Poppy Campaign by purchasing hundreds of poppies each year and attaching them to all our designs before delivery from November 1 leading up to the Remembrance Day ceremony. Tara Koshman Associate Member of the Royal Canadian Legion. Both Grandparents worked loyally in the Air force during WWII and shared their stories with me growing up. So, the Royal Canadian Legions Poppy Campaign is particularly meaningful to her. To this day, our Canadian troops protect our nation every day oversees. 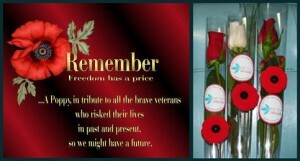 The Royal Canadian Legion who support our Military, Navy and Airforce members and their families is a worthy recipient. 1) The organization must be a registered charity -- eligible to issue official tax receipts for donations -- or an established not-for-profit community cause. 2) The organization or cause must be serving in Greater Victoria or the Westshore Community. 3) The focus and basis of the organization must be preventative rather than simply remedial. 1)The full name of your organization (including website and email address). 2) Address, telephone number, and contact name. 3) Description of the specific event for which a donation is sought. 4) The date of the event. 5) Type of donation requested (product/gift-certificates/monetary). Please submit your request via e-mail at least 12 weeks prior to your event, and allow us 8 weeks to review and respond to your inquiry. 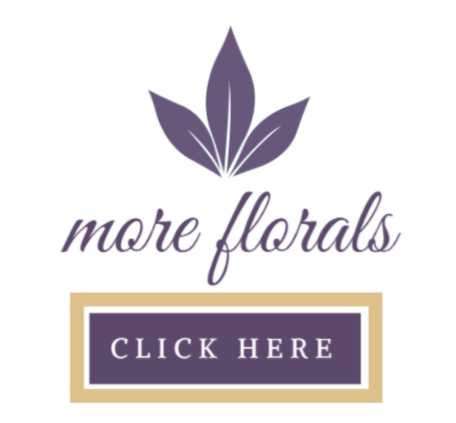 Requests should be e-mailed to pr@petalsnbuds.ca and choose to address your letter to either: Petals N Buds Bear Mountain Florist or Petals N Buds Metchosen Florist.